We understand that receiving a diagnosis of cancer can be frightening and confusing. To help you and your family better understand the treatment options available to you, we have created this website to explain how chemotherapy is used to safely and effectively treat cancer. Since 1992, Dr. Shypula and his staff have been committed to providing state-of-the-art medical care in a community setting. We provide comprehensive screening, diagnosis, and treatment of various blood disorders and cancers. Our staff is dedicated to providing quality care in a compassionate and supportive environment. Our mission is to provide the most effective and proven cancer treatment to our patients. We do more than treat diseases--we treat people in a respectful and compassionate manner. We provide a hopeful and supportive environment. Dr. Gregory Shypula has over 22 years of experience offering exceptional care and treatment for patients with cancers and blood disorders. He is board certified in medical oncology and hematology. He was the recipient of the prestigious Distinguished Fellow of the American Academy of Oncology award in 2008. Dr. Shypula is the Director of the Division of Hematology/Oncology at the Raritan Bay Medical Center; a position he has held since 1996. He is also Clinical Assistant Professor in the Department of Medicine at the Robert Wood Johnson Medical School (UMDNJ). He is an attending physician at Raritan Bay Medical Center, John F. Kennedy Medical Center, Rahway Hospital, and Robert Wood Johnson University Hospital. He is also affiliated with The Cancer Institute of New Jersey. Dr. Shypula has authored several articles that have been published in scientific, peer-reviewed journals. 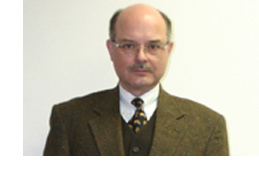 Dr. Shypula completed his early medical training in Poland at the Medical Academy of Wroclaw. He then completed his internship and Residency in Internal Medicine at Raritan Bay Medical Center in Perth Amboy, NJ and went on to complete his fellowship in the Division of Hematology and Oncology at St. Luke's /Roosevelt Hospital in New York City. He established his current practice in Avenel, New Jersey in 1992. Dr. Shypula and his staff are committed to providing state-of-the-art medical care in a community setting. They provide comprehensive screening, diagnosis, and treatment of various blood disorders and cancers. Dr. Shypula and his staff are dedicated to providing quality care in a compassionate and supportive environment. Top Doctors in the New York Metro Area 2001 & 2003 - Castle Connolly Ltd.
Karen Barany is a certified oncology nurse and the Nurse Manager at Dr. Shypula's practice. 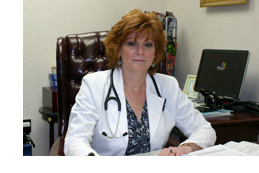 She has over 30 years of experience in nursing, with 19 years as an oncology nurse. Karen brings a wealth of experience and a passion for her work as the Nurse Manager for this busy oncology practice. She completed her nursing training at the Charles E. Gregory School of Nursing in New Jersey, and went on to attain her credentials as an Oncology Certified Nurse. In addition to her years of critical care experience, she is a key person in the practice responsible for care coordination and communication with patients and their families. Karen wholeheartedly espouses the practice's core philosophy of treating the whole patient, and offering compassion, hope, and support to patients and their families during treatment. Karen is also committed to maintaining her knowledge of the most recent and cutting edge oncology and hematology treatments.